Well I guess DCStamps has Arrived. I have a little app called Flag Counter, which keeps track of all of the "countries" which have visited DCStamps. Today, at about 10am EST, someone from North Korea visited the site making it the 198th "country" to stop by and check out DCStamps. Now I am waiting for a call from the CIA or the NSA. It all comes of giving away state secrets. Even if the states are dead. Maybe one of these days I can add #198 to my list of Dead Countries as well! Just when you thought that this thread was ....... DEAD ....... I thought I would add another category. • City States (An autonomous city, which existed as a sovereign nation). It took me a while to decide how to designate countries which once were pronounced dead, but after a long period of time rose up again to become a sovereign, independent nation. Should these countries be wiped from my list of dead countries? Therefore, I created a rule for my collection: If a country ceased to exist for more than 40 years, and later rose again, I still consider the earlier country as a “dead country”, and the new one as a separate entity. I figure that 40 years was sufficient time and change for the situation and government to be quite different. Some might not agree with the rational, but hey – it’s my collection! I had lots of fun trying to name this category .. zombie countries? undead countries? Lazarus countries? However, I settled on the term used by Linn's in a 2002 article: Resurrected Countries – defined as nations which ceased to exist for more than 40 years, then again became a sovereign country. Examples include Ukraine (dead 1919-1991), Estonia (dead 1940-1991), and believe it or not, Fiji (colony from 1874-1970). Soon will show a few of my Resurrected Countries, but would love to see stamps from others as well (even if it doesn't follow the 40 year rule). 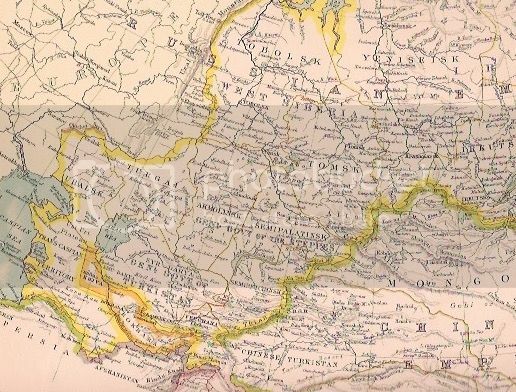 With the fall of the Russian Empire, the provinces of the Caucasus region (Armenia, Azerbaijan and Georgia) seceded from the Empire and formed their own federal state called the Transcaucasian Federation. (not the Transcaucasian Socialist Federative Soviet Republic). Due to bitter infighting between the regions, the union only lasted for 6 months. The Azerbaijan Democratic Republic (ADR) was formed in May 1919, however its short history was mainly one of conflict rather. Numerous territorial disputes with its neighbors, the highly valued oil fields within the country and the ongoing battle between the Red and White Armies never gave the fledgling Republic a chance. Azerbaijan tried to remain neutral with regards to the Russian Civil War, even signing a defensive treaty with Georgia. However with the defeat of General Denikin's White Army in Jan, 1920, the Bolsheviks set their sites on the Caucasus. Consolidating their power, the Red Army, began preparing to invade Azerbaijan, as Vladimir Lenin claimed that Soviet Russia could not survive without Baku oil. On April 25th, 1920, the Russian Army invaded Azerbaijan; and three days later, the Republic ceased to exist. The Azerbaijan Soviet Socialist Republic (Azerbaijan SSR) was formed. Seventy One years later in 1991, the Republic of Azerbaijan gained it's independence with the fall of the Soviet Union. In Oct, 1919, Azerbaijan issued a set of 10 stamps. The 10 values had 4 different designs, a solder with a flag, a farmer at sunset, the city of Baku and the Temple of Eternal Fires. Issued on thin white paper the set is known as the Moussavat Issues , after the the ruling political party. After the Republic of Azerbaijan was taken by the Bolsheviks in April, 1920, the new Soviet government re-issued the set of 10 stamps on thick grayish paper. Two of the issues, the 5r and 10r had inverted ornaments on the left side of the design. Bosnia is a prime candidate for this last category. Sort of, but in name only. Bosnia was never an independent country. It was part of the Ottoman Empire until 1878 when the Austro-Hungarian Empire took it from the Turks following their defeat in the Russo-Turkish War. Bosnia and Herzegovina became a Protectorate of the Austrians (while other Baltic nations like Montenegro and Serbia became independent). In 1908 Bosnia and Herzegovina was annexed by Austrio Hungary and became a province of the Empire. After WW1, Bosina became part of Yugoslavia. Therefore, Bosnia was never independent until 1992. Therefore, while I would count the Kingdoms of Serbia and Montenegro as Resurrected countries, I wouldn't include Bosnia. I am confused. If colonies, occupied zones and other entities with distinct postal identities count as countries, why narrow the definition of countryhood in such cases as Bosnia? greaden - Here is my thinking, for better or for worse. First of all, I certainly include the Austro-Hungarian Protectorate of Bosnia and Herzegovina and the Austro-Hungarian Province of Bosnia and Herzegovina as dead "countries" (or at least dead stamp issuing entities). I just don't define them as "Resurrected Countries". Primarily because the current Bosnia and Herzegovina is an entirely different entity. Just as I would define the British Colony of Nigeria as a different entity than today's Federal Republic of Nigeria. So, here is my rationale for creating the Resurrected Country Category. Example: When the Kingdom of Belgium was taken over by the Germans in WW2, it ceased to exist, becoming a different "country", a German occupation, or "protectorate" if you like. When the Germans were driven from Belgium, it again became the Kingdom of Belgium. Was the "resurrected" country a different country? Of course not. So when large changes in national structures occur, such as the collapse of the Soviet Union, formerly Dead Countries (like the independent nations of Latvia, Estonia, Georgia and Armenia) re-emerged and again became sovereign nations. This really messes up my Dead Country list. So the question I asked myself is (like Belgium above) it the same country? If yes -- why? If no, then I needed to remove the previous dead country from the list. That is why I made the (possibly arbitrary) 40 year rule. It easily eliminates the Belgium like countries from consideration, but did include provision for those with sufficient time of "non existence" to be included. One can easily disagree with the 40 year number, or even set up different criteria, but that is just the way I decided to define my collection. I hope this makes some sort of weird sense. Thurn and Taxis raises a problem in defining dead countries that I started to sort out in this thread. During the period that Thurn and Taxis issued stamps (1852-1867), it was no longer a country in the sense of a state governing a territory. It issued stamps for about 17-20 (depending on how one counts them) different member states of the German Confederation in two currency zones. 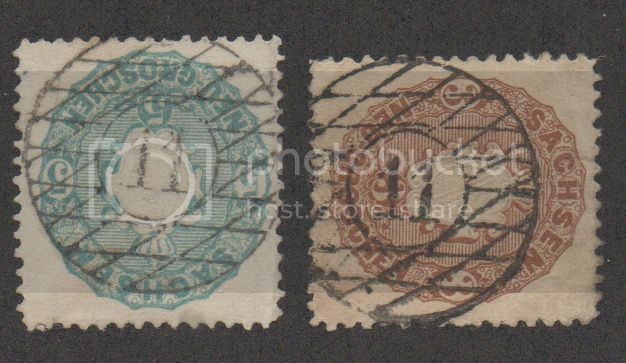 Likewise, two other countries (Anhalt-Dessau and Waldeck) used Prussian stamps, and one small principality in Thuringia (Saxe-Altenburg) used those of Saxony. 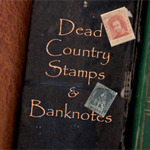 These are dead countries that used stamps, even if they did not issue them themselves. One can only identify them by their postmarks. Here is a list of states using Thurn and Taxis. I am arranging it first by region and then by the distinction between northern and southern districts, marked here as (N) and (S), respectively. The numbers refer to the numeric cancels initially allocated to towns in those countries. Others were added later. I liken Thurn and Taxis to other private Postal systems such as the Russian Steamship Navigation Company or the American Letter Mail Company which were contracted by countries to handle their mail. A very nice history can be found at Stamp Collecting World. For me, I don't count these private companies as dead countries, as they were merely postal contractors. This differs from other Companies which I do count (such as Mozambique Company), which actually contracted to rule as well. I could name only 1 definitely (guess which one?). However, it should not be in this list of "dead" countries. First of all, Antioquia was a state of Colombia and not a country. Second of all, Antioquia is not dead. It's capital is Medellin, which most people know as the home of the infamous drug dealer Pablo Escobar (now deceased). Antioquia is now designated, as well as the other states, a department of Colombia. This map certainly helps me visualize the whole situation. The Thurn and Taxis clients are more contiguous than I expected. I see there are a lot of areas that belonged to one country but used the postal services of another. The Duchy of Lauenburg belongs on my list of countries whose stamps can only be identified by their postmarks. 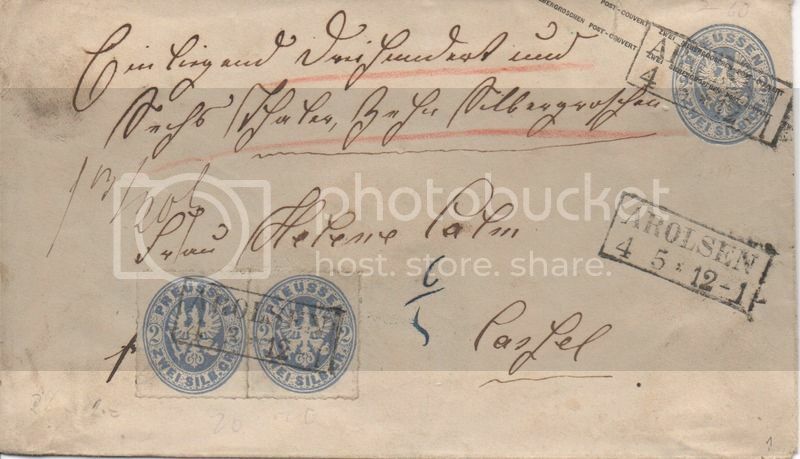 A couple of places that confuse me and will have to look into: Ratzeburg, and Thuringian states that used Prussian stamps. "Ghost countries" might work for the time being to refer to countries that existed during the era of postage stamps but can only be recognized from postmarks on stamps issued elsewhere. What other ghost countries were there? The Maury catalog for French Africa has a listing for "Rivieres du Sud", or Southern Rivers. That was a predecessor for French Guinea. It used stamps of French (General) Colonies postmarked "Conakry". There must be more examples lurking in specialized catalogs. 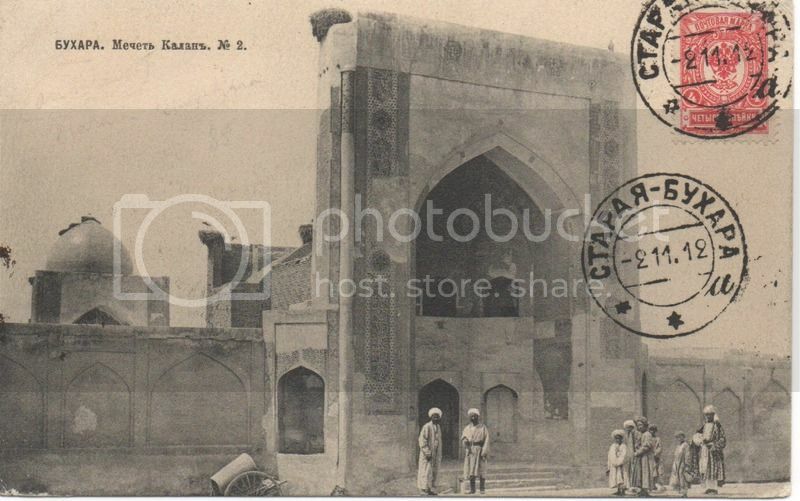 Neighboring Khiva had a similar status. Here is another ghost country that nobody has ever heard of: the grand and glorious principality of Waldeck und Pyrmont. Arolsen was the capital. I noted a couple things you might be interested in. First, the first page of your album shows the dates in the heading as 1826-1946 although the dates around the stamps themselves start at 1867 as I would expect. Second, the first few pages refer to stamps as "Queen Elizabeth designs" when I think you really meant to put "Queen Victoria designs". As I've mentioned before, I really love your pages!